Relax & treat yourself to brunch at Highland Green’s very own Duck Pub. We have a new brunch menu available from 11 AM- 2 PM. 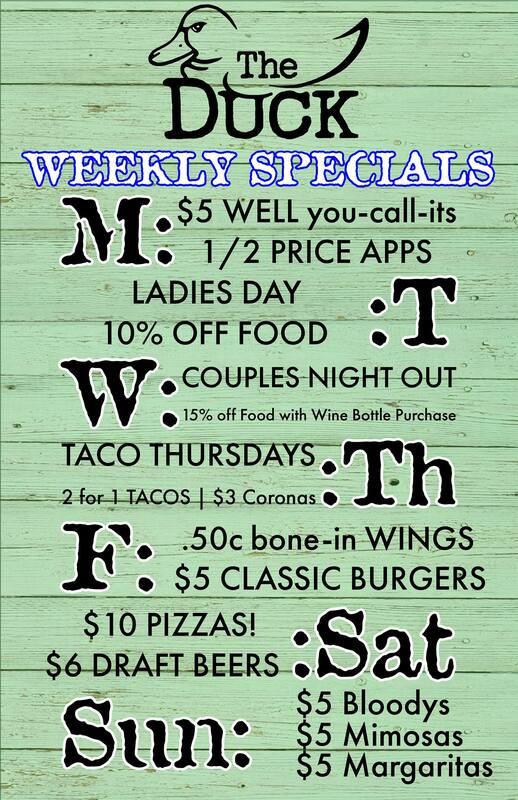 We also have new weekly specials on burgers, beer, Bloody Marys, & more! What’s not to love? What we sell in the marketplace is what we feature on our menus. All of our breads & pastries are baked in house by our awesome Chef. Our Chef selects our inventory each week to assure variety, freshness, & exclusivity. We want you to try everything we offer, expand and evolve your palette. Take it to places its never been…thats what we’re about. We have a great selection of wines & sparklings by the bottle. You won’t find our selection anywhere else. We hand select our inventory to pair well with what we offer on our menus & what we have in stock in our market. Call 207.406.2109 for reservations or EMAIL US HERE! 2019 membership is here and BETTER THAN EVER! Stress less, golf more.